The Motion Picture Association of America is not happy with The House That Jack Built, the latest controversial effort from director Lars von Trier. Those who are aware of Trier's work know that he is no stranger to controversy when it comes to his movies, but this time, his work is about to get a distributor, IFC Films, in big trouble, as unrated screenings of the movie that are set to take place have violated certain ratings rules. IFC is now facing sanctions from the MPAA as a result. IFC Films is scheduled to screen an unrated, much more violent version of The House That Jack Built on roughly 100 screens all across the U.S. tonight. 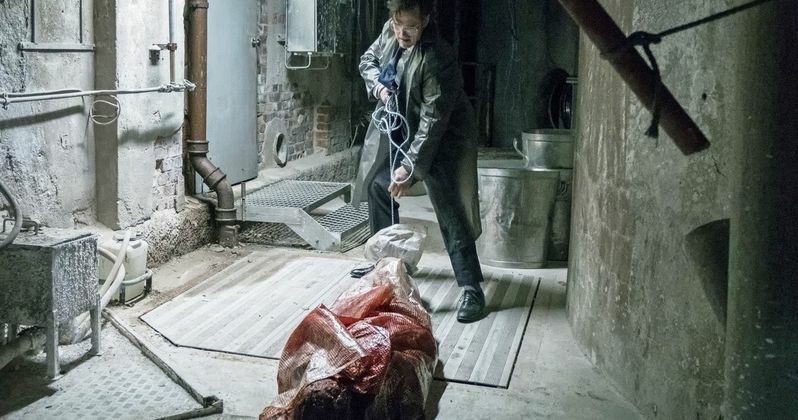 This is ahead of its already planned day-and-date rollout on December 14, when the R-rated version of the movie, which centers on a sadistic serial killer played by Matt Dillon, will hit select theaters and VOD platforms. The problem is, IFC did not get the appropriate waiver they needed from the MPAA for these unrated screenings, since they're happening so close to the wider rollout. The MPAA had this to say in a statement. "The MPAA has communicated to the distributor, IFC Films, that the screening of an unrated version of the film in such close proximity to the release of the rated version, without obtaining a waiver, is in violation of the rating system's rules. The effectiveness of the MPAA ratings depends on our ability to maintain the trust and confidence of American parents. That's why the rules clearly outline the proper use of the ratings. Failure to comply with the rules can create confusion among parents and undermine the rating system, and may result in the imposition of sanctions against the film's submitter." This all comes following the premiere of The House That Jack Built at Cannes earlier this year, which prompted walkouts and instantly positioned it as one of the most controversial movies of 2018. IFC picked up the distribution rights shortly after the screening. The movie sees Matt Dillon's character brutally murder several women, and even children, during its runtime. And this was the R-rated version that screened. It's hard to imagine how much more brutal it could be in its unrated form. Lars Von Trier had previously been banned from Cannes and this marked his return after seven years. The cast also includes Uma Thurman and Riley Keough. This news was first reported by The Hollywood Reporter.